Porter County Regional Airport was founded in 1949 as a county owned public service facility. 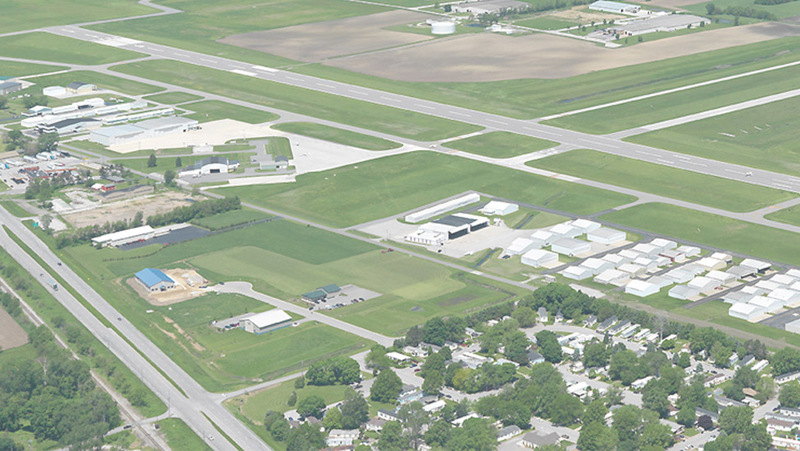 The Airport occupies 718 acres one mile southeast of Valparaiso, Indiana. From this strategic location, in the heart of Porter County, it’s less than one hour Northwest to Chicago, or Northeast to South Bend by ground transportation. Porter County Regional Airport is Northwest Indiana’s finest all weather business and general aviation airport with an INDOT estimate of 70,304 (2010) landings and departures per year. We are located outside the Chicago Class B air space which allows for easy arrival and departures. We have full radar coverage supplied by both South Bend Approach and Chicago Center. A wide variety of services are available at the airport including a conference room for meetings, complete servicing of aircraft, facilities for passengers and crew members, rental offices, and runways to handle the largest business aircraft. Car rental and catering are available by prior reservation. Porter County Regional Airport is home for more than 160 general aviation aircraft. These aircraft range in size from small one passenger propeller driven aircraft, to large corporate jets. 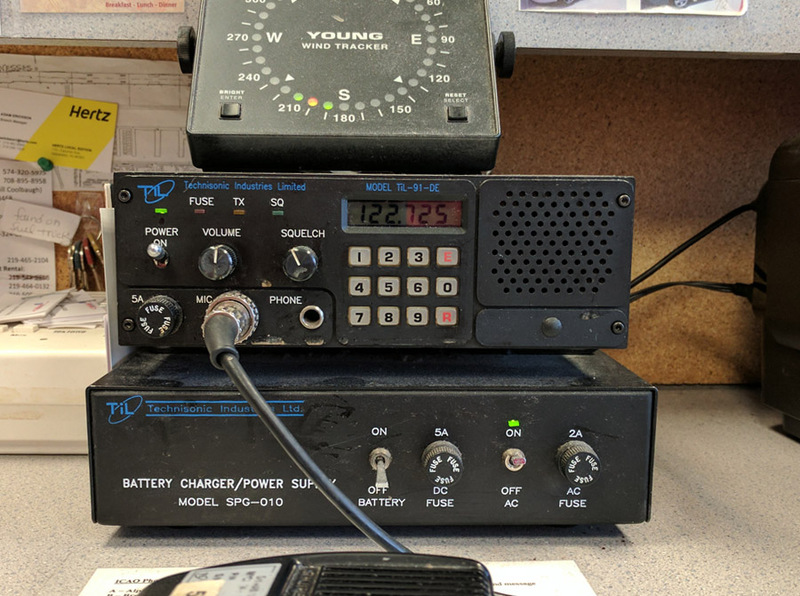 Our community is growing rapidly and the Porter County Airport Authority has ensured that the Airport’s growth is keeping pace to meet the needs of our residents, visitors and businesses. There are expansion projects underway to meet the growing community needs and stimulate future business in the area. The airport is managed by the four member Porter County Airport Authority Board and a full-time Airport Director. Seven full-time and three part-time employees are here to serve you 365 days per year. 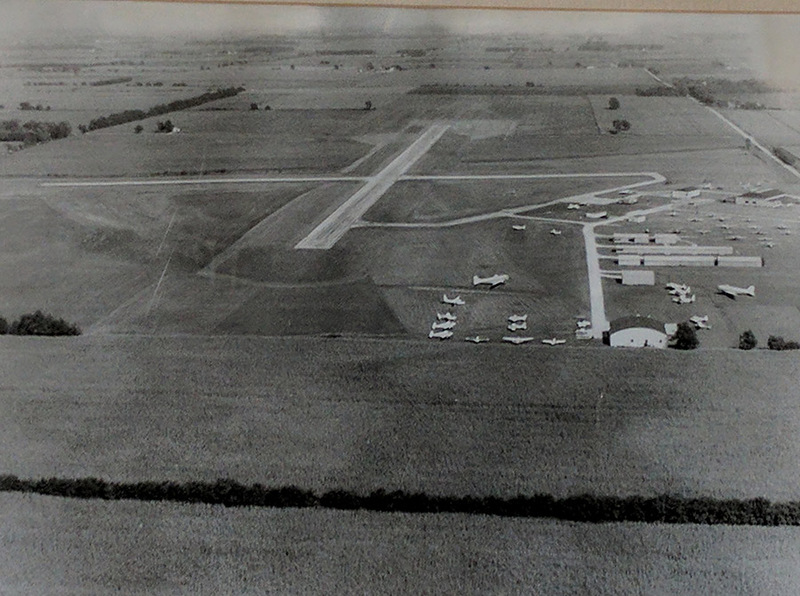 Porter County Regional Airport dates back to 1949, when 197 acres of farmland were acquired Southeast of Valparaiso at the urging of a local resident who had been a World War II pilot. He, along with local business and civic groups, became instrumental in convincing the County to pass an ordinance creating a Department of Aviation. The Airport’s initial development consisted of an 1800′ x 50′ paved North-South runway, a 2000′ x 200′ East-West sod runway, and the construction of an administration/terminal building. In 1962, the Airport embarked on its second phase of development in the construction of a paved 3000′ x 75′ East-West runway. Later in the 1960’s, due to the substantial growth of the Airport and in order to keep abreast of the tremendous advances in aviation technology and aircraft, the East-West runway was expanded to a dimension of 6000′ x 150′. In addition, a partial parallel East-West taxiway, a 200′ x 270′ concrete ramp, and a new jet fuel farm to serve corporate traffic were also added. Various navigation aids, taxiways and apron areas were construted throughout the remainder of the 1960’s and 1970’s. Scheduled air taxi service between Michigan City, Valparaiso and Chicago O’Hare began in 1969 with Phillips Airlines. For 15 years Phillips Airlines carried an average of 18 passengers daily out of Valparaiso until the company went out of business in 1983, unfortunately falling victim to airline deregulation. In 1988, the Airport initiated efforts to obtain approximately 221 acres for the construction of Runway 18-36 as a crosswind runway for the Airport. This concept, brought forth in a 1978 master plan, was reiterated and reaffirmed in a newly completed master plan update. The project, in its Phase I dimension of 4000′ x 75′ with a 35′ parallel taxiway system, gives the Airport a viable crosswind runway capability, allowing an increased number of our present operating category aircraft to use the crosswind runway when conditions dictate, enhancing safety, operations and the marketability of the Airport. Major Robert Laughery USAF (Ret) was our first Airport Manager from 1950 until his death in 1985. Under Bob’s management the airport grew from the small local facility to one that supports the needs of the local residents, and local and distant corporate needs. Eunice Laughrey was appointed Airport Manager 1985, and served until her death in 1991. Mrs. Laughery was an employee of Porter County Airport for many years prior to her appointment as Manager. As Airport Manager, she served with dedication to the same standards and traditions established while working side by side with her husband Bob. Kyle J. Kuebler, our present Airport Director, was appointed by the Porter County Aviation Board in 1991. Kyle, like the Airport Managers before him, rose thru the ranks while working at multiple positions at Porter County Airport. Kyle is a licensed pilot with multiple ratings and an engineering graduate of Purdue University. Kyle has many affiliations, serving as a Director of the Aviation Association of Indiana (AAI), membership with the American Association of Airport Executives (AAAE), National Air Transportation Association (NATA), and is an active volunteer firefighter. The county road serving the south entrance to the Airport was named after the late Lawrence (Mark) Murvihill. Murvihill’s Aero Service was founded by Lawrence (Mark) Murvihill in the 1940’s. Mark was a U.S.Army pilot during World War II and fought in the European theater. After the war, Mark worked as a pilot for the U.S. Fish and Wildlife Service before starting Murvihill Aero Service in Porter County, Indiana. Murvihill Aero Service performed aircraft maintenance and inspections, ran aircraft charter services, aircraft rental, and trained aircraft pilots, instructors and mechanics.